This is an invigorating, heated class that is taught to all levels on the spicier side of the effort level. 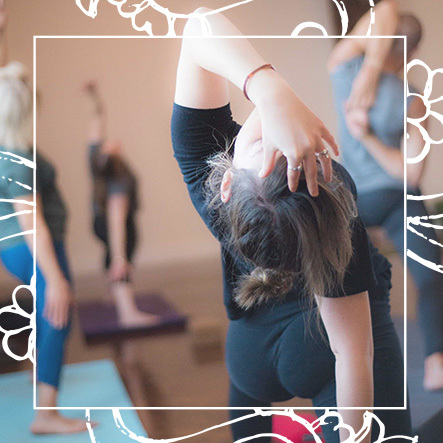 Peak Inspired classes are sequenced thoughtfully, building effort through a break-down of anatomical movements and postures towards a “peak” or destination pose. Peak Inspired is an excellent class for students of all levels to inspire their practice to the next level, in a clear, safe and conscientious manner. Peak inspired classes are likely to include inversions, arm balances and hands on assists. Class Level/Yoga Experience: All levels, some Yoga experience is suggested. The fire element is responsible for illumination and heat. In the subtle body fire mitigates our relationship between the earthly and spiritual centers from its location near the navel. Fire’s intense heat transforms the element earth into space, and the element water into air. Peak Inspired classes invoke the fire element to transform practice to higher levels and shine light on new possibilities. Pranayama / Breathing Technique: Kapalbhati Classes will include pranayama (guided breathing technique) – before ~during ~ or to close the practice.